The story I’m about to tell is not a joke. Check that: It’s in many ways a joke, but not in any way that’s funny. It really happened. The award truly exists. The recipient really was honored. Here goes: There’s an organization called the National Association of Corporate Directors. This organization has a New England chapter, known in shorthand as NACDNE. You know what corporate directors are. They are successful people, nearly always men, almost always white, who sit on the boards of public and private companies, often where their friends are the chief executives. They meet quarterly or monthly, collect anywhere from, say, $80,000 to $260,000 a year for that effort, and rise in unison to shout, “Higher! Higher!’’ when it comes time to set executive pay for the heads of the companies they oversee. Actually, one director told me Thursday of a sneaky tactic that boards employ in setting executive pay. The members request comparisons of what other chief executives earn, and then set the compensation of their own in the 75th percentile. This guarantees that with every comparison, every year, the pay soars, and everyone has cover. The characters in “Deliverance’’ weren’t as incestuous as these boards are interlocking. We’ve been through this before, but never enough: NStar chief executive Tom May sits on Liberty Mutual’s board. A Liberty Mutual official sits on the NStar board. Many of them sit on the Bank of America board. The revelation that the insurance giant paid its chairman roughly $200 million over the past four years has sparked anger. They golf at the same country clubs and have homes in the same upscale resort towns. In Liberty Mutual director Michael J. Babcock, we get a two-fer. He is a member of The Country Club in Brookline, according to a US Golf Association website, and has a residence in Vero Beach, Fla. The recently retired Liberty Mutual chief executive, Ted Kelly, is a member of The Country Club in Brookline and has a home in Vero Beach, Fla. Coincidence? Then, of course, there’s Tom May, who plays golf with Kelly at the Oyster Harbors Club on Cape Cod. Presumably, they voted on Kelly’s utterly grotesque $50 million-a-year pay package. Maybe they all squeezed in a quick 18 right after the vote. I’m sure these are all smart, decent, philanthropic guys, but they’ve also lost touch with reality. The result, from their actions and so many others, is the single biggest pay inequity in the United States since before the Great Depression. The haves are grabbing everything, and the have-nots have come to see that as the norm. Back to NACDNE. The group held its annual dinner March 29 at the Seaport Hotel, an affair undoubtedly filled with two-fisted handshakes, back slaps, and knowing winks. If the public address announcer said that the owner of a cream-colored Mercedes Benz left his lights on in the garage, grown men would have died in the stampede. The time finally arrived to hand out the “Private Company Board of the Year’’ award. Again, what follows is the whole truth, confirmed by people present, highlighted on the association website. And the winner is - drumroll here, please - the board of directors of Liberty Mutual! Come on down guys. Don’t be shy. The directory even listed them: The aforementioned Kelly, May, and Babcock, as well as current chief executive David Long, and directors John Manning, Frank Doyle, Marian Heard, John Hamill, Charles Clough, Gary Countryman, Nicholas Donofrio, Stephen Page, Ellen Rudnick, Martin Slark, William Van Faasen, and Annette Verschuren. Yes, this is the group that handed Kelly a $50 million compensation package for four straight years. This is the board that oversaw the buildup of a Liberty Mutual air force - five long-range corporate jets that make an unusual number of stops at airports near Kelly’s vacation homes. And this is the board held up by its peers as something to celebrate, even emulate. I held out the slightest glimmer of hope that maybe, just maybe, the awards jury simply didn’t know about Kelly’s pay, and now that it’s aware, would have something to say. No, really. And by the way, the shareholders in this case are the policyholders, who have been unknowingly paying Kelly’s $192,000-a-week salary for years. This award says a lot, some things softly, other things forcefully, but what it screams is that the entire tawdry system of corporate oversight and governance has to be blown up and rebuilt. It needs more outside voices, academics from business schools, and lawyers who aren’t part of the club. It begs for some youth. It’s desperate for perspective and conflict of interest rules. Kelly, to repeat what I have already said, was regarded as a brilliant executive before his retirement last year. He led Liberty Mutual to many good years, and as a result, the company has been an uncommonly generous corporate citizen, with the annual July Fourth celebration and a whole lot more. But CEOs are supposed to be good, and successful corporations are expected to be philanthropic. The scariest part is that nobody on that board had the wherewithal to recognize the madness of $50 million a year or the courage to speak up. Were they afraid of losing their annual $200,000 in director’s pay? Would they have been embarrassed around the grill room of their club? 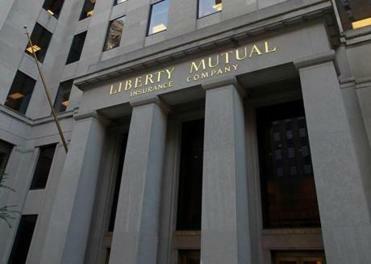 It’s a start, but I doubt Liberty Mutual executives and directors will be all that worried. Actually, most of them are at a company-sponsored professional golf tournament this weekend in Savannah, Ga. You can bet that the company jets have been working doubletime to get them there.